Here is one that is getting hard to find. I did some trading with another collector friend of mine to get this. 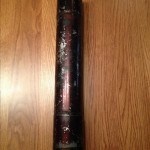 He got it at a Civil War Show on Louisville KY. These tin containers were used a lot during the war to transport maps, documents and military orders. 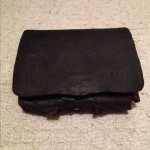 This one has beautiful patina and a few little dings in it, but that gives it character. 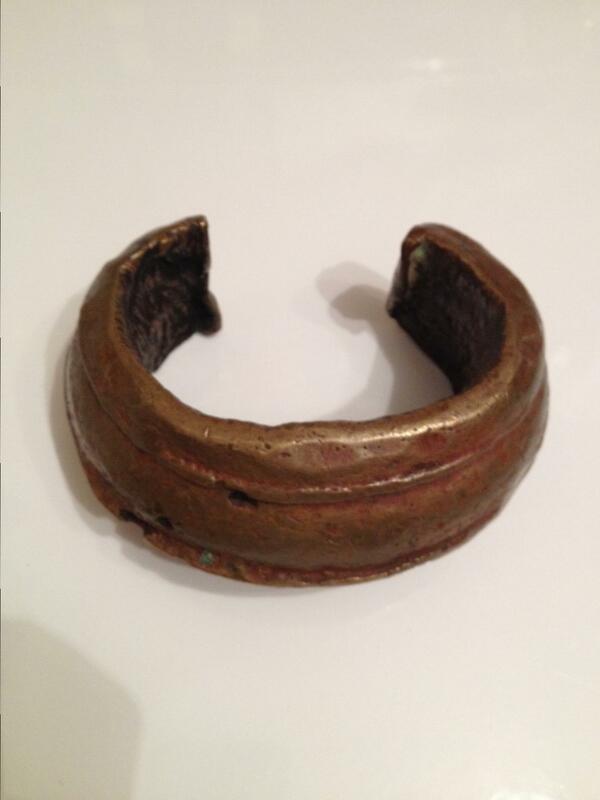 A good friend that I go relic hunting with, found this bracelet at a Civil War Show in Vicksburg Mississippi. It came out of a gentleman’s collection who has had it for almost 50 years. 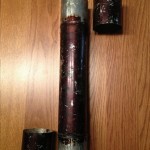 This one is solid copper and weighs over 4 lbs. The biggest slave trade bracelet we have ever seen. What a great addition to my collection. 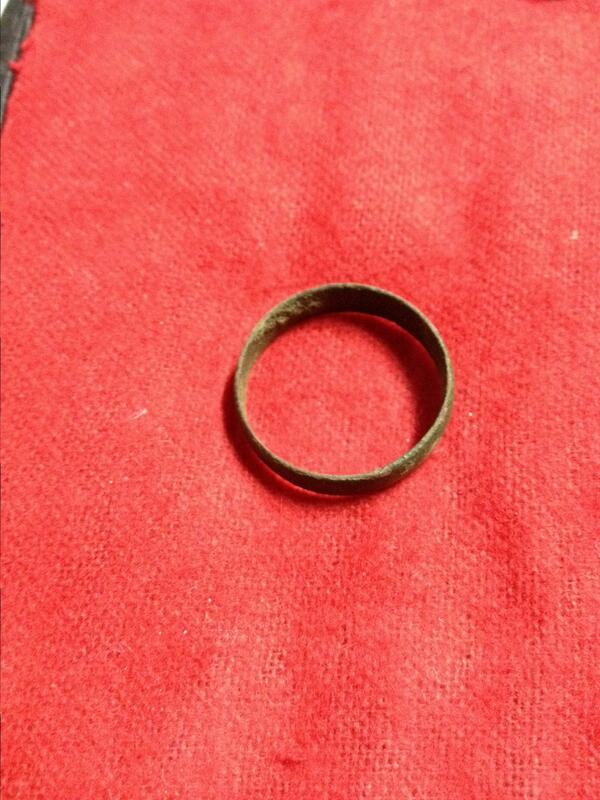 This wedding ring was dug in the town of Centreville VA. It is located in the top North-East corner of Virginia, only about 20 miles from Washington DC. Centreville stayed heavily fortified by the Confederacy using it as a supply depot during the war. 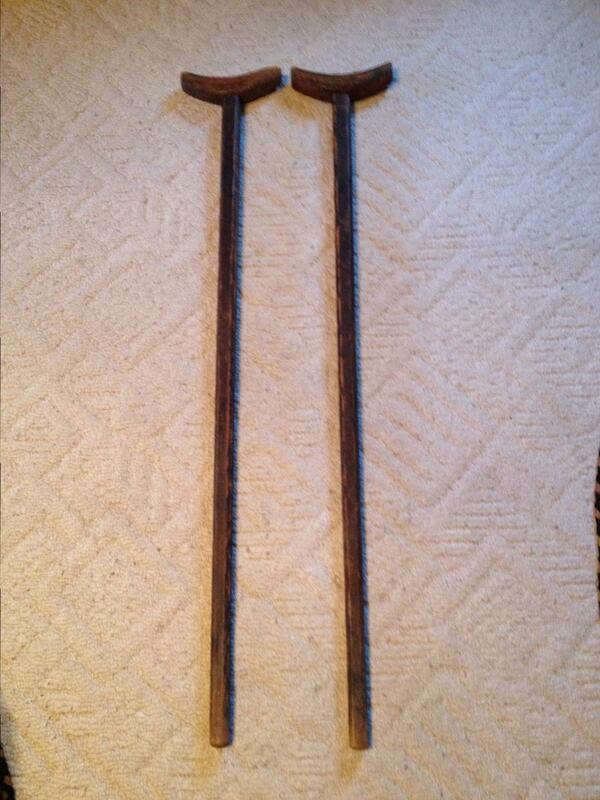 These crutches came out of an Confederate collection in Dalton GA. They are definitely hand made and a great piece of southern history. 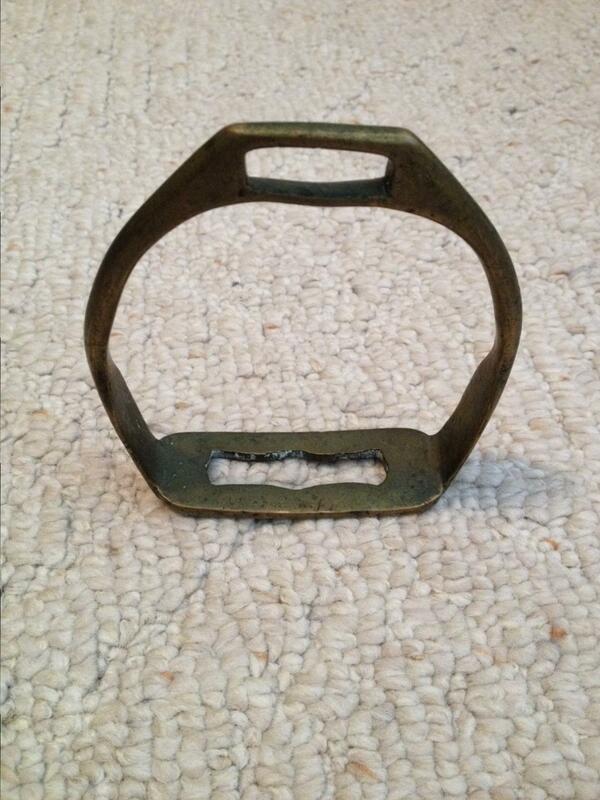 Here is another brass stirrup that was dug in Perryville Ky. It’s not as big as the two Confederate stirrups that I have posted, but have been told that it is definitely pre war, and probably belonged to a soldier in the Confederate Calvary. Will probably never know, but a nice addition to my Perryville collection. 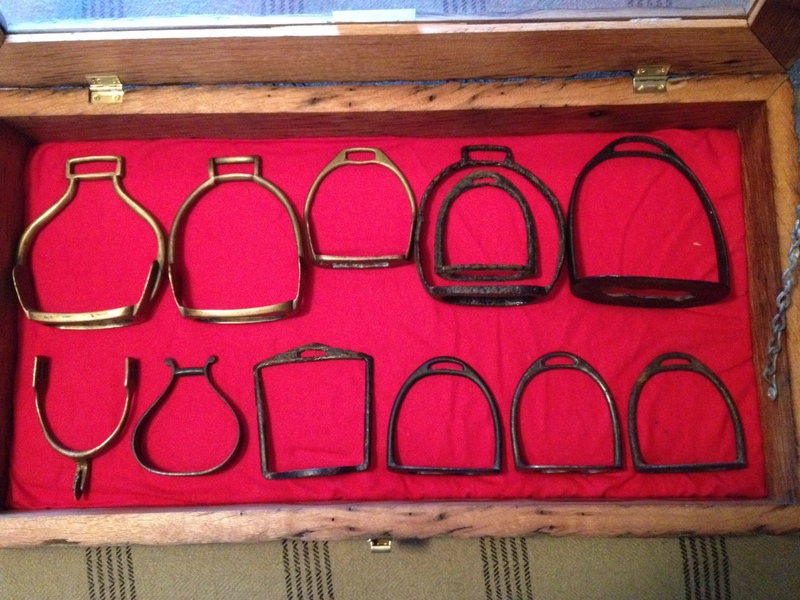 I have posted the two large brass stirrups on the top left in the Calvary category, but thought I would go ahead and show the whole stirrup and spur display together. All of this was dug in Perryville Ky. Most of it on private land adjoining the battlefield. There are several small women’s side saddle stirrups, one blacksmith forged stirrup, several civilian type stirrups, and the three brass Confederate stirrups with the brass Union issued spur. 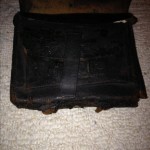 I really enjoying sharing these awesome relics from Perryville. 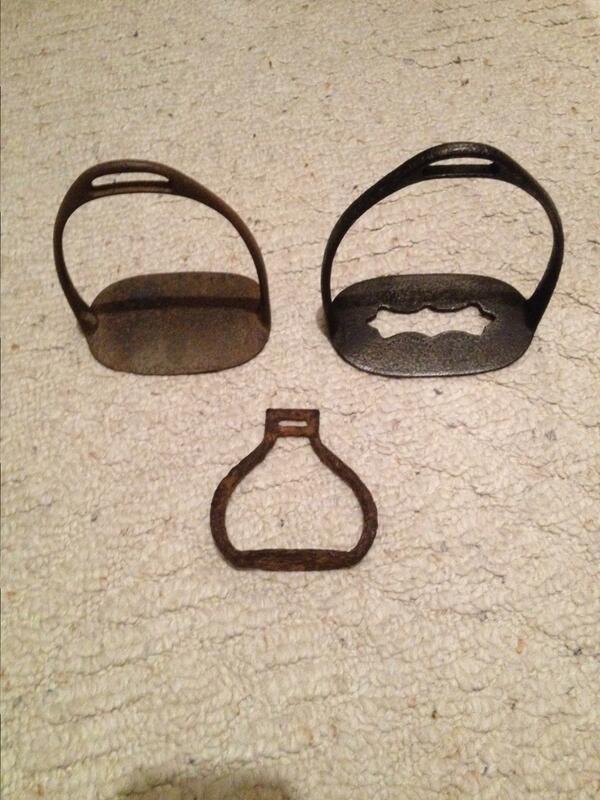 Check out the Calvary Category for some close up pictures of the brass Confederate stirrups and spur. 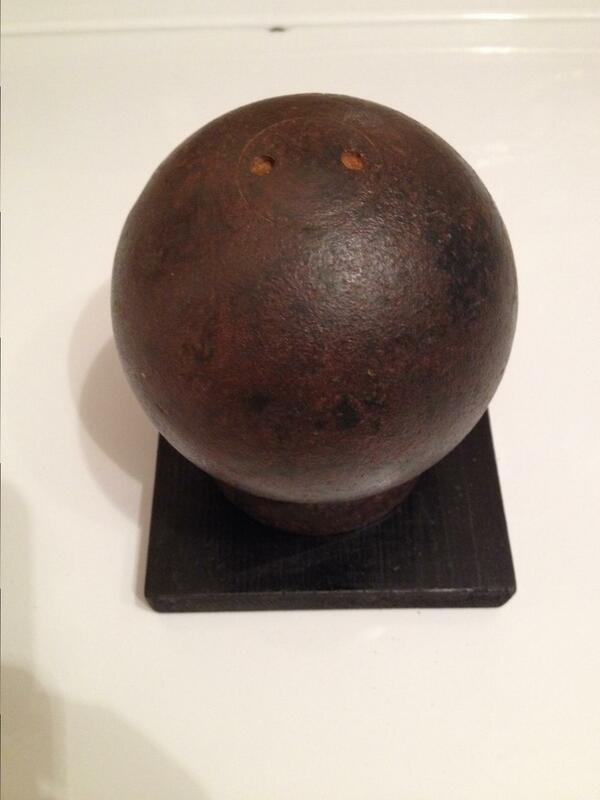 This is an early war issue Union 69 cal. 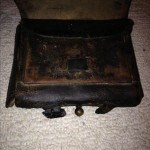 cartridge box. A family had brought this and another 58 cal. 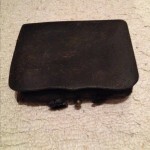 cartridge box to the Civil War Show in Louisville Ky. Both were picked up off of the Perryville Ky battlefield, by the family’s GGGrandfather, 3 years after the battle there. They have been passed down through the family all of these years, and now are in my collection. They are not in perfect shape at all, but the history of them is priceless. I will be posting pictures of the 58 cal. box also.